The Formula European Masters teams currently are busy preparing for the coming season – inter alia by testing in Southern Europe. Meanwhile, Ferdinand Habsburg, Sacha Fenestraz and Jonathan Aberdein are involved in the DTM Young Driver Tests. In 2018, the three young guns contested the FIA Formula 3 European Championship, the predecessor of the Formula European Masters. 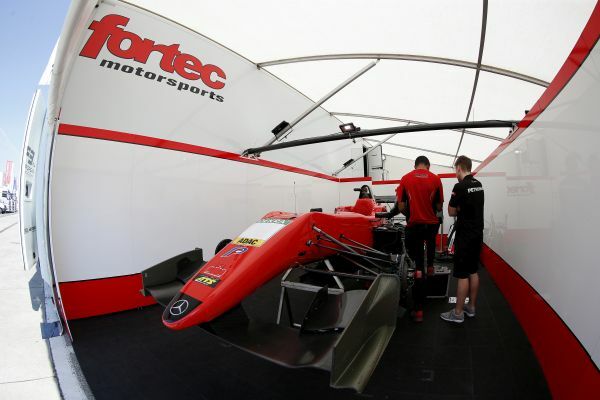 Fortec Motorsports also will be one of the teams to contest the 2019 season of the new series. Just a few days ago, the new Red-Bull-Junior Yuki Tsunoda was officially announced by Team Motopark as first Formula European Masters driver. And the other teams also feverishly work on their preparations for 2019. Currently, many teams are testing in Southern Europe. One of these teams is Fortec Motorsports, one of the most renowned squads in international young-gun racing. In recent years, the team that is based in Daventry, England, competed in selected FIA Formula 3 European Championship race meetings and has contesting the full 2019 Formula European Masters season with two or three cars in mind. “We are convinced that the Formula European Masters with the cars used and the entire concept represents the best package when it comes to offering young drivers the opportunity to learn as much as possible,” says Fortec Motorsports Team Manager Mick Kouros. The fact that Ferdinand Habsburg, Sacha Fenestraz and Jonathan Aberdein were invited to the DTM Young Driver Tests at Jerez, Spain, demonstrates that contesting the Formula European Masters is worth one’s while. The three drivers demonstrated their skills this year in the FIA Formula 3 European Championship, the predecessor of the Formula European Masters. Habsburg is test for HWA, Fenestraz as well as Aberdein for Audi. The battle for the title at Hockenheim: Will Daniel Juncadella prevail?